You take good care of your four-legged companion. But it’s easy to forget to take care of your cat’s teeth. You take good care of your four-legged companion. But it’s easy to forget to take care of your cat’s teeth. Maybe you’ve tried, but your kitty just won’t let you near his or her mouth. Cats can be burdened by dental diseases and problems just as easily as we are. 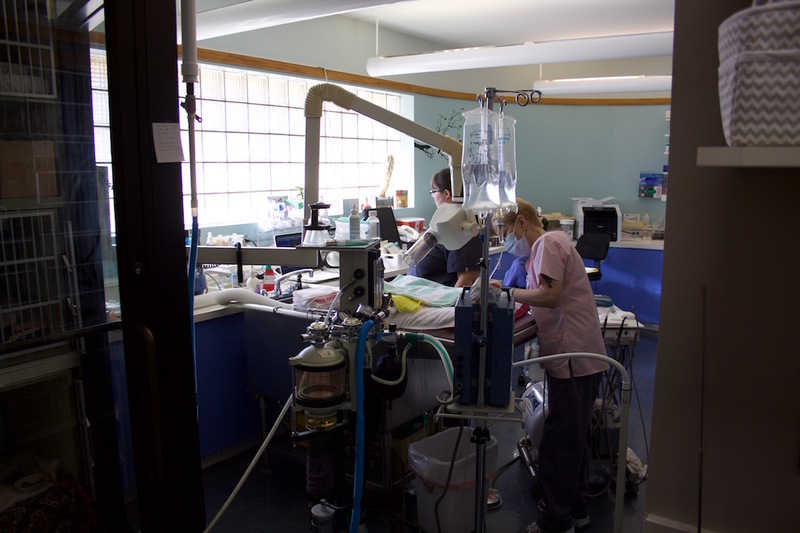 Regular dental check-ups at Just Cats Hospital, combined with good dental hygiene at home, can increase your cat’s health, vitality, and well-being while helping ensure he or she leads the best life possible. If left untreated, dental disease can not only be painful and inhibit proper nutrition, but can also lead to serious systemic issues that may threaten your cat’s overall health before symptoms are noticeable. For those reasons, our veterinary team strongly considers dental care an important piece of your cat’s preventive health care program. Should we find any issue—such as evidence of gum or tooth erosion, gingivitis, “cat cavities,”or fractured teeth—we will discuss this with you and offer treatment options for your cat. We are experienced dental practitioners and can offer a number of dental procedures and oral surgeries. If your cat is experiencing any of the above symptoms or if you simply wish to be given more information on our dental services.